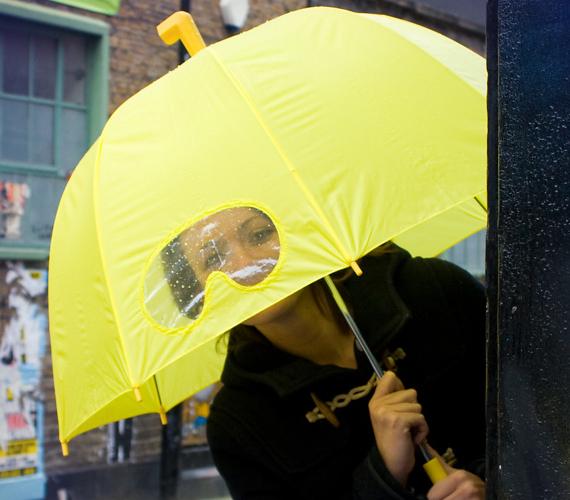 You may not get to live in a yellow submarine (or even a more traditional grey one) but with the Submarine Umbrella, you can pretend for a little while. Each and every time the forecast calls for rain, you can whip this out to stay completely dry and look positively goofy while doing so. It features a cute periscope-style point, a generous bell-shaped design and a little window in the front, so you’ll be able to negotiate crowded streets and peak foot traffic time with ease.